Focal Spark earphones are a fantastic introduction to Focal's intricate sound craftsmanship. 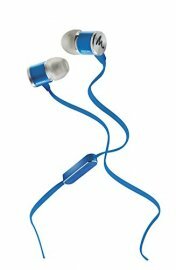 Available in a choice of silver, black and cobalt blue finishes, these earphones are a sleek update to your look as well as a reliable commuting companion. With a 9.5 mm Mylar driver, the Spark earphones punch well above their weight. The Focal Spark earphones showcase a lightweight aluminium body and a three-button remote control with microphone. Added to this, its anti-tangle flat cable is convenient and hassle-free. The Spark earphones bring high-performance sound to mobile and connected individuals who desire to immerse themselves in their favourite music at any moment, in any place. Whether you download or stream your music, you can be sure premium sound quality.